Charity shops and thrift stores aren’t as popular in Germany as they are in the U.K. or U.S.A., but there are still plenty of little spots in the city to keep even the most experienced vintage shoppers interested. Mostly based in the center of the city, a bit of careful planning will get you to all seven of these vintage temples in less than a day. This is Cologne’s best vintage shop. 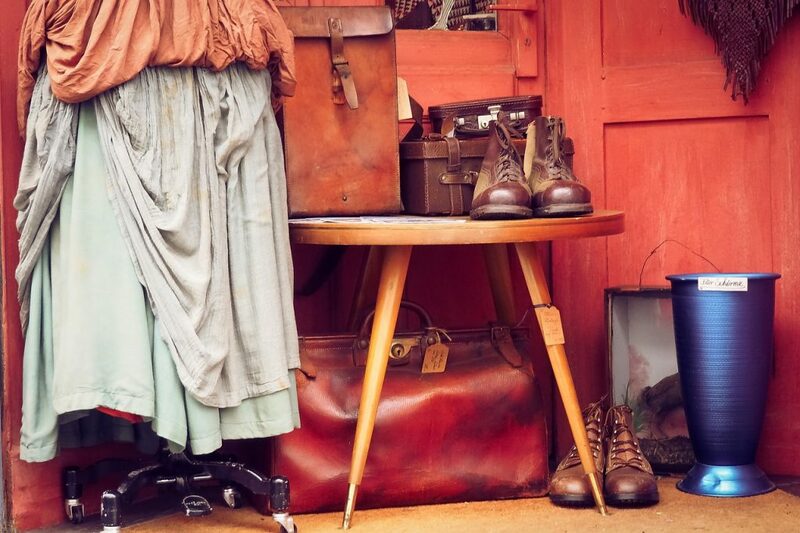 With top quality clothing spread over two floors, vintage lovers will find all the retro shoes, printed dresses, suits and hats they could ever wish for. The accessories, sunglasses, jewelry, scarves etc, are often nearly new. If the clothes aren’t really your scene, the shop is still worth a visit just for the décor. For more than 35 years, Golder Moden have given fashion fans with skinny wallets a taste of something special. The vibe is like any other fashion boutique and the racks have their fair share of Armani, Chanel, Prada et al just waiting for another turn on the dancefloor. In addition to clothes, the shop carries silk and cashmere scarves, fur, hats and handbags. A national second hand chain, like Goodwill or Oxfam, Humana sells quality second hand clothes to raise money for social causes. It’s not a place for high fashion bargains, but customers interested in quality vintage pieces and are willing to rifle through the racks to find it will be amply rewarded. With stores in Nippes, Ehrenfeld and Kalk, you’ll have to check the map to find the nearest to you. Officially the Bürger für Obdachlose Basis Lager (Citizens for the Homeless, Base Camp) the B.F.O. styles itself as Cologne’s premier address for second hand. In addition to clothes, the B.F.O. has toys and homeware; the vibe is a bit like Value Village. The clothes are usually plain, but of good quality and shoppers prepared to go for a deep dive will find a bargain or two. Owners Christian and Stanislava fight back against mass comsumption and our throwaway society by giving old treasures another chance at life. In addition to clothes, Vintage Emde stocks shoes and accessories for men and women. The shop is in the super trendy Belgisches Viertel, near to Temporary Todd and Vintage & Rags. Temporary Todd is the place for a treasure hunt. Artists are given space to show their work, and carefully selected vintage clothes are complemented by items made by young designers and labels such as Fischers Fritze. Grab a plaid shirt that was around the first time they were popular, and some shoes that still have many a mile left in them. Temporary Todd has clothes for both men and women. Every person can be happy and creative, if they allow it – such is the motto of Polyesterschock, a vintage shop for women only in Ehrenfeld, Cologne’s second most hip neighborhood. The shop has hand-picked clothes from the 1950s to the 1980s. The best part is, if the item doesn’t quite fit, the owner will alter it for you for free.